Doris Chan gives crocheters, looking to find their repertoire, step-by-step technique instruction on hairpin lace, broomstick lace, and Tunisian crochet, and includes a crash course on customizing basic garments to fit any size from XS to 3 XL. She ensures that each of her designs will look good whether you are model-thin or have more generous curves. 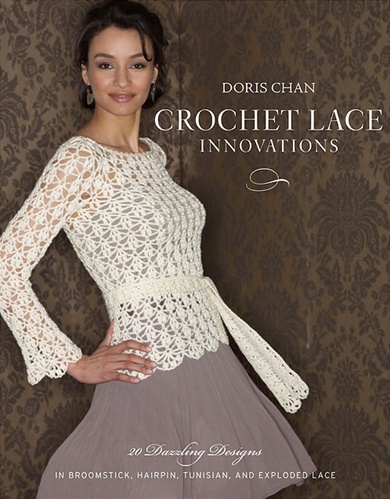 More than just a book of amazing patterns, Crochet Lace Innovations is a master class on flattering and form-conscious garment designs. This book will get you excited!